For many, owning a home is a huge investment and you want to do everything you can to protect what you've worked hard to get. How can you protect one of your greatest investments? The simplest way is with quality, affordable Louisville home insurance coverage. Having homeowners insurance lets you focus on the things you enjoy, rather than worrying with the problems you might face without coverage. Knowing that you, your family, and your home will be covered should any unforeseen events occur can put your mind at ease. Any one of our experienced home insurance agents can give you the personal attention you deserve to create the right homeowners policy for you. In addition to the standard coverage provided by each policy, you and your agent can tailor your policy to provide additional coverage for coins, furs, jewelry, or other items. It is important to review which events are covered and those that are not and discuss with your agent any additional coverages you may need, such as flood protection. You could spend time getting quotes from several companies and comparing them yourself, but why not leave it to the experts and let us do all the work for you. As an Independent Agency, we can offer homeowners policies from multiple companies such as State Auto, Progressive, and many others. With just a little information, we will find the best rates for you based on your situation. Getting peace-of-mind doesn't have to be complicated when it comes to your home and property. We'll provide you with the best options for quality, inexpensive home insurance for the Louisville, KY area. Remember nothing beats talking to an agent if you want to get the best policy for your situation. Talking with an agent allows you to ask questions and for the agent to find out the small details that might make a huge difference in the type of coverage that you actually need. Braden Insurance is committed to providing you with responsive customer services along with flexible options to meet your Louisville home insurance needs. Louisville homeowners policies cover privately owned homes, their contents, other liabilities for events that may occur on the property of the homeowner. For example, it can protect yourself against exposure to legal responsibilities if others are injured while at your house. What Does Homeowners Coverage Protect? Whether you live in a house, mobile home, condo, or apartment, homeowners coverages is a must. For apartment and condo owners, liability and contents policies are available for you as well. Protecting your family and home with safety features like these is smart thinking, but can also save you money. Buying a new home is filled with enough paperwork and regulations to make your head spin. Whether you are buying or building your own home, protecting this investment is crucial. For many first-time homebuyers’ the world of homeowner’s insurance may be murky at best. Use these frequently asked questions to understand the basics of homeowner’s insurance. Q: WHAT IS REQUIRED BY LAW? The truth is, homeowner’s coverage is not required by law, it is required by the mortgage lender. The lender generally requires that you purchase a homeowners policy until your mortgage is paid off. If you are buying a house in full, or after you pay off your mortgage, the option of homeowner’s coverage is up to you. However, for most individuals, their home represents the single largest investment they have ever made. Protecting this investment is a no-brainer. Homeowners coverage varies between companies and policies depending on the home and the area where you live. Generally, a policy will cover damage up to your policy limit caused by those things outlined in the policy. This may or may not include fire, flood, theft, storm damage, etc. Homeowner’s insurance not only covers the home itself, but also all of your personal items inside, and additional structures on the property. Along with liability insurance, homeowners coverage provides loss of use, which pays for living expenses when the home is repaired or rebuilt. However, homeowners policies do not cover flood or earthquake damage. These require a separate policy purchase. Unfortunately in today’s world, many people are looking for someone to blame. If someone slips on your front porch and ends up in surgery, you become that person to blame and you now have tens of thousands of dollars and medical bills to pay for that you had nothing to do with. Homeowners policies cover injury or property damage suffered at your home by a non-resident, up to your policy limit. Medical bills and legal defense fees will also be covered. No. Homeowners insurance does not cover activities related to a home-based business. You will need to purchase an endorsement or a separate business insurance policy to cover any business property or liability. 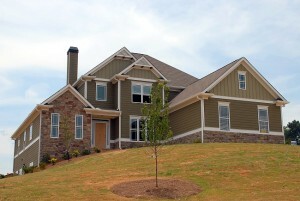 If you are building a home, your builder may offer insurance protection during the construction phase. If this is offered, take it. If not, insure your home with a separate company while it is under construction. Otherwise, you are not covered if a disaster destroys your partially completed home. There is no one-size-fits-all policy. To evaluate how much coverage you need, determine how much it would cost to completely rebuild your home and replace all of your possessions as well as cover additional living expenses if you are forced to live elsewhere while your home is being rebuilt or repaired. On top of that, estimate how much it may cost to provide legal counsel, medical bills, or additional coverage if someone is harmed on your property or sues you. The best way to determine your needs is to speak with a licensed homeowners insurance agent to determine your exact needs.